We are still recovering from the holidays around my house, along with dealing with some personal matters. I have missed blogging enormously, and hope to start some kind of routine again soon. I can’t wait for spring! I Just wanted to share a quick and easy double-duty recipe. Dough for doughnuts and doggie treats! They came out a bit on the ugly side, but everyone…including the family dog loved them! Mix the dough well, until no longer sticky. Place in a greased bowl and cover with plastic wrap. Refrigerate at least an hour. 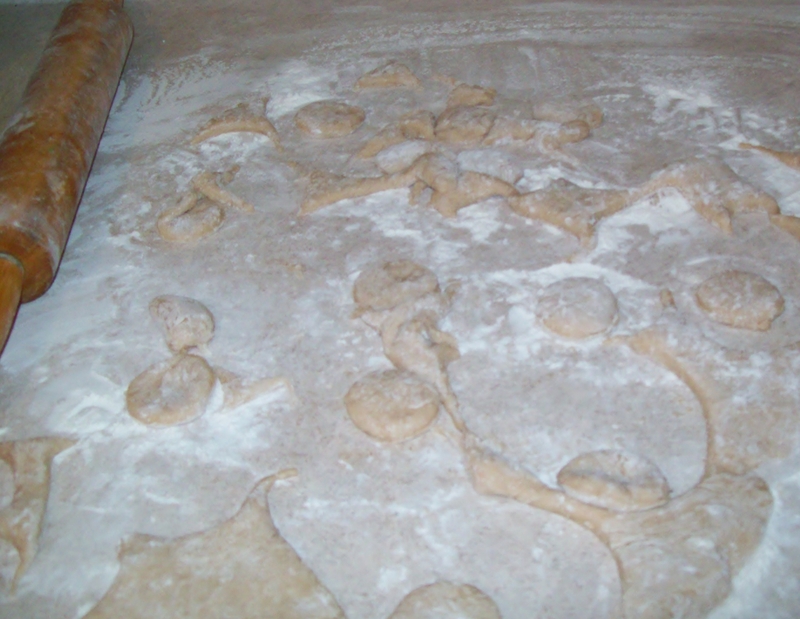 Roll out dough on lightly floured surface to ¼ to ½ inch thick, and cut into shapes. 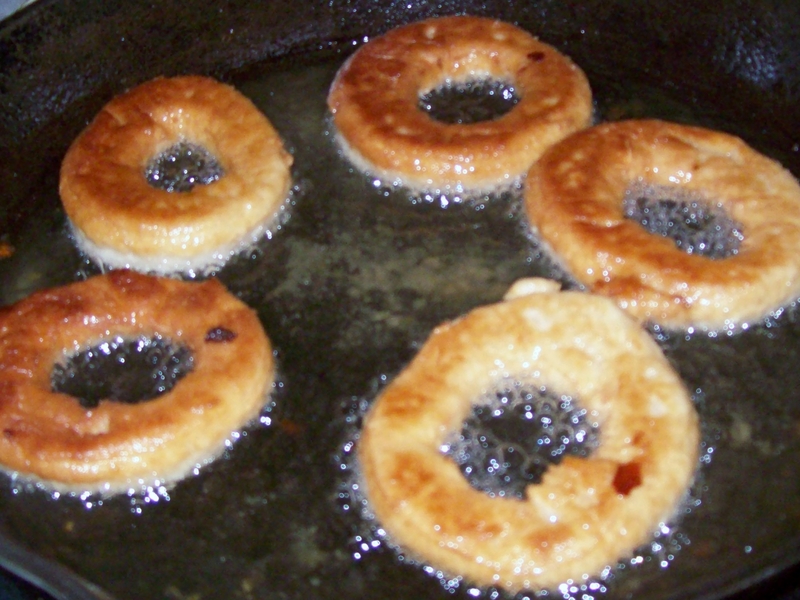 Fry in oil that has reached a temp. of about 350. Flip as needed. Don’t forget to use the doughnut holes! 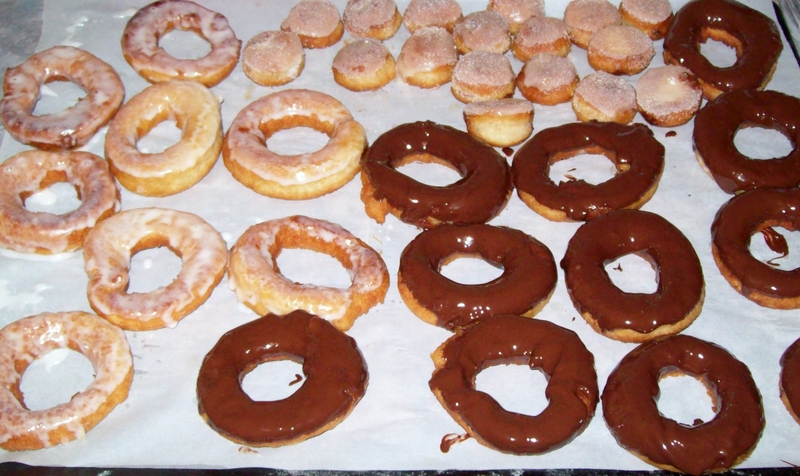 For doughnuts, we just used melted chocolate chips with a little shortening to make it creamy. The holes were tossed in a cinnamon/sugar mix while still hot. 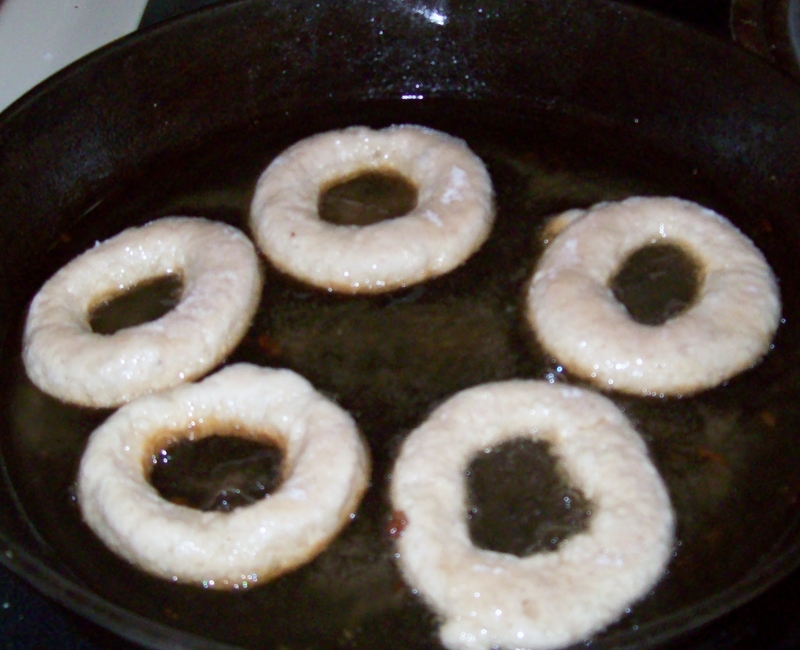 For doggie treats, using the same dough, roll out just as you would the doughnuts. Cut into desired bone shapes. Bake on parchment paper on low temp. (About 275-300 degrees) for 1-2 hours until fairly crisp. It may take longer depending on how thick you roll the dough. Baste with chicken or beef broth every 15-20 minutes. These are not the healthiest treats for doggies or humans…but once in awhile it’s worth the splurge. Posted by Createityourself on January 28, 2013 in Uncategorized and tagged doggie treats, donuts, double duty recipes, doughnuts, eggless treats, frugal. just looking i gained 5 lbs & cholestorel went up 20 points. looks & sounds tasty! Glad you are back!! Loved the donuts! !